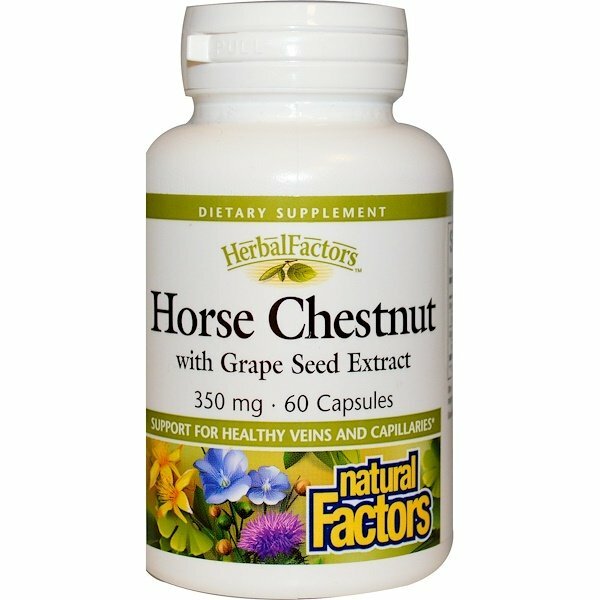 Horse Chestnut with Grape Seed is a unique antioxidant combination that supports healthy veins, capillaries and the circulatory system. 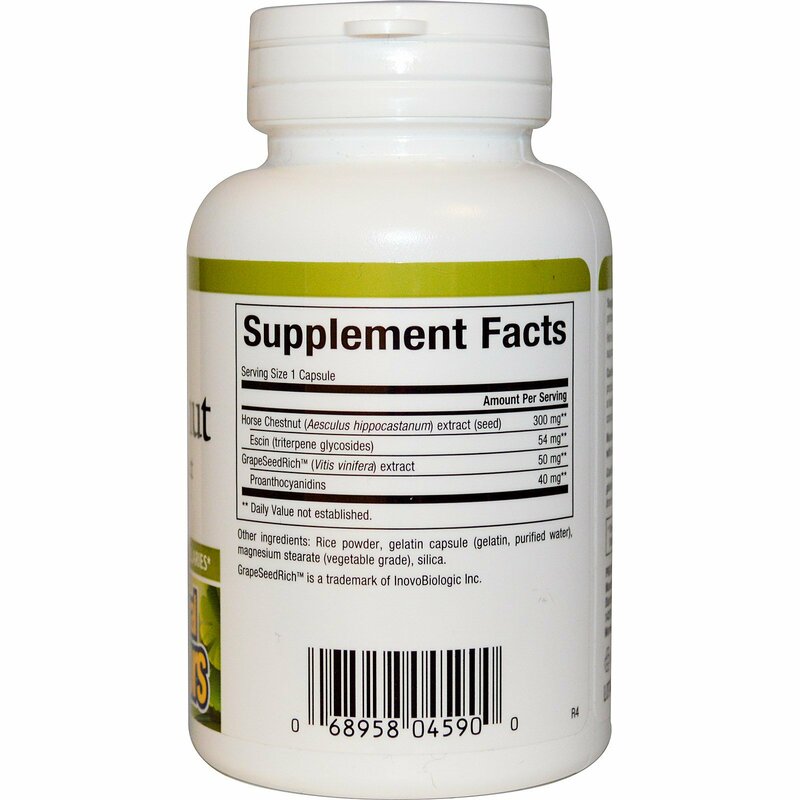 1 capsule every 12 hours or as directed by a health professional. Rice powder, gelatin capsule (gelatin, purified water), magnesium stearate (vegetable grade), silica. Caution: Not recommended for pregnant or lactating women. Do not take this product if you have kidney, liver or heart problems unless under the direction of a health professional. If you have any adverse side effects, discontinue use and consult a health professional. Keep out of reach of children.